Absolute Style Limousines proudly presents its exclusive range of limousines. Absolute Style Limousines is a leading limo hire Chelmsford company with several years of experience in offering exceptional limo hire services in and around Chelmsford. Our large fleet of limousines include Stretch Hummer, Stretch Chrysler 300C, Stretched Lincoln Town Car, Super Stretch Excursions and more. Our limousines are suitable for both personal needs as well as for corporate needs. Absolute Style Limousines is a very dependable limo service in the region. We have a long list of happy customers that will vouch for the quality of our services. We have set very high standards for our limo hire services which makes us popular in the industry. We are not happy with just meeting your requirements but we go one step further and make every effort required to exceed your requirements. You can therefore confidently share your expectations and your needs, which we will try to accommodate to the best of our abilities. To make our services highly reliable, we follow strict maintenance protocols. All our vehicles are regularly checked and serviced. Moreover, we are always punctual in meeting your appointments. Our limos will be there to pick you up on time. We never leave our customers waiting in anxiety in the last minute. We neither swap the limousines in the last minute nor disappoint you; you will get exactly what you have booked. Birthdays, special occasions, wedding car hire, wedding buses, white London wedding taxis, Christmas party nights in Chelmsford. Absolute Style Limousines offers personal attention to every limo booking. Irrespective of whether you are making your booking for personal events or for corporate needs, we make sure that you receive highly thoughtful services. We have all our limousines furnished well to give you a luxurious ride. You will find high-end in-car entertainment equipment fitted in all our limousines. You will have the most enjoyable and the most memorable rides in our limousines. Stop paying exorbitant prices for your limo services. We bring you outstanding limousine hire services at the cheapest prices. You can now arrive in style like a celebrity on your special days and occasions without having to cough out huge amounts of money. Now, top class limo services are available well within your budget. Make the best use of our limousines and save a lot of money each time you are in need to book a limo. Our limo hire services can be used for all types of requirements including wedding transportation, stag and hen night transportation, Valentine’s Day night out, anniversaries, birthday parties, Christmas and New Year parties, soccer matches, concerts, prom, promotional events and road shows. We have the right limo for all your needs; you can pick your own limos from our latest selection of limousines. Take advantage of the latest deals and offers when you are booking your limos. 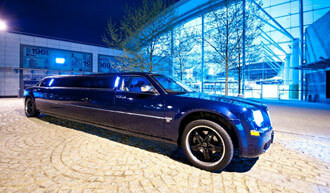 We provide fully customised limo hire solutions. Send us your limo hire Chelmsford needs and get a custom quote. You will find our services very friendly and flexible while at the same time very professional. We assure you complete satisfaction.